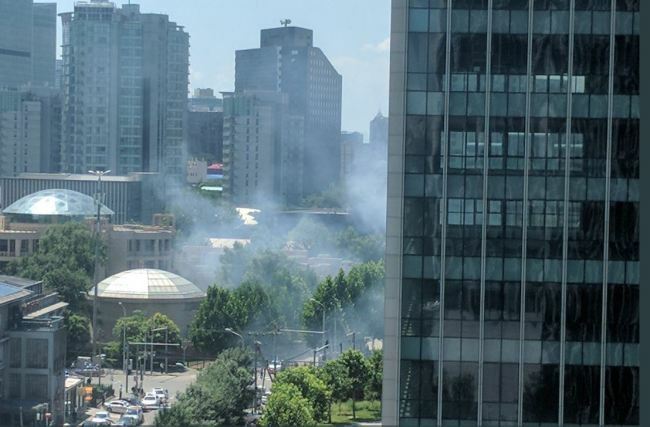 BEIJING -- A fire or possible explosion appears to have taken place outside the US Embassy in Beijing on Thursday. A woman was reportedly detained after spraying gasoline on herself, according to official media. Photos posted on Twitter showed a large amount of smoke and what appeared to be police vehicles surrounding the vast structure in northeastern Beijing. Police did not immediately respond to requests for comment on the incident and an embassy spokesman said he was still collecting information. 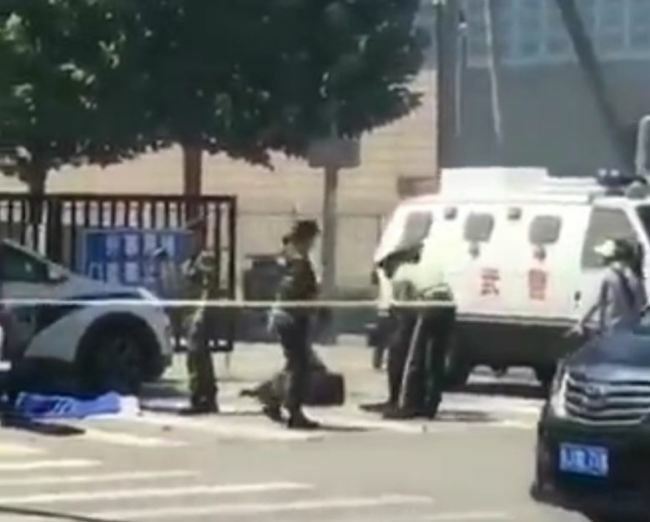 The ruling Communist Party newspaper Global Times said police ``took away a woman spraying gasoline on herself in suspected attempt at self-immolation'' at around 11 a.m.